While our beautiful state is known for year-round fun, I recently re-discovered the beauty and variety that Southern Oregon offers in every season. Nestled halfway between Portland and San Francisco, this region boasts an array of adventures, no matter the time of year. Here are some of my favorite ways to experience Southern Oregon all year long. As an undergrad I chose geology for my science coursework and was won over. I still can’t get over the massive forces that formed our state. Over the last half-million years, volcanic eruptions have created a rugged landscape covered with diverse volcanic features, and some of these can be viewed in the Southern Oregon area. 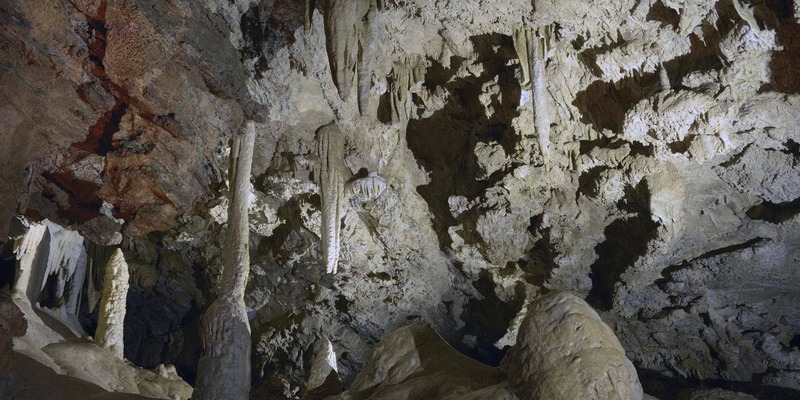 At the Oregon Caves, you can explore 480 acres of low ceilings and narrow pathways through one of the most biologically and geologically diverse caves in the world. The caves are closed throughout the winter, so spring is the perfect time to catch the caves at their most pristine. You might even see a big-eared bat utilizing the caves as a resting stop before returning outside to feed. These bats consume as many as 500 insects an hour when feeding! My husband recently took up golf and thought it would be a great sport for us to do together. Lucky for me, despite my distinct lack of skill, golf in Central and Southern Oregon is pretty great — a dry climate with plenty of sunshine makes for perfect golfing conditions. In Southern Oregon, we checked out Running Y Ranch Resort, which is home to the only Arnold Palmer-designed golf course in Oregon. 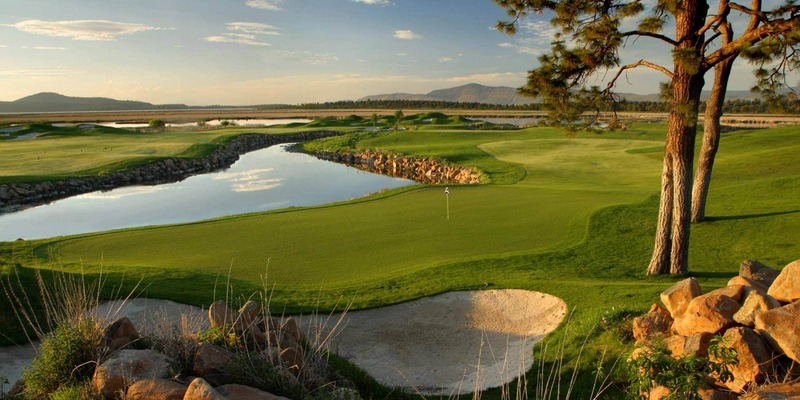 The award-winning course features challenging terrain and a spectacular natural landscape that attracts golfers from around the world — even beginners, like me. We have a teenager and keeping him from uttering the age-old teenage mantra of “I’m bored” is a constant challenge. ROE Outfitters (short for “Real Oregon Adventures”) helps avoid this. The adventures they offer, from mild to wild, are a great way to introduce families to the great outdoors in Southern Oregon, including hunting, fishing, kayaking, stand-up paddleboarding, rafting and zip lining. There’s no way you’ll utter the word “boring” on this adventure! Experience Southern Oregon from above on the only tree-to-tree zip line canopy tour on U.S. Forest Service Land. Crater Lake Zipline‘s three hour ride will provide you with views of Upper Klamath Lake, Cascade Mountain peaks and the rim of Crater Lake in the distance. You’ll be just as thrilled by the views as you are by the ride. As you’ll see in my previous post, fly fishing is a big part of our family activities. In Southern Oregon, an abundance of rivers and lakes paired with massive native trout and steelhead make this area a fisherman’s dream. Whether you’re a seasoned fisherman looking to land your biggest catch, or hoping to bring the family along, there’s a fishing opportunity for everyone. Word from the locals says that the rainbow trout on the Williamson River are over 30 inches long! Fall is the perfect time of year to explore scenic mountaintops, breathtaking water views, lush valleys and brilliantly colored meadows. In Southern Oregon, you won’t have to travel far to find anything from an enjoyable scenic hike to an exerting climb. All skill levels welcome, even my 12-year-old dog went for a short jaunt! Perhaps the most renowned trail in Oregon is the Pacific Crest Trail, which runs from Mexico to Canada. From near the Siskiyou Summit Pass in Southern Oregon to the Washington border, this section of the trail is one of the shortest and easiest hikes to experience the PCT. 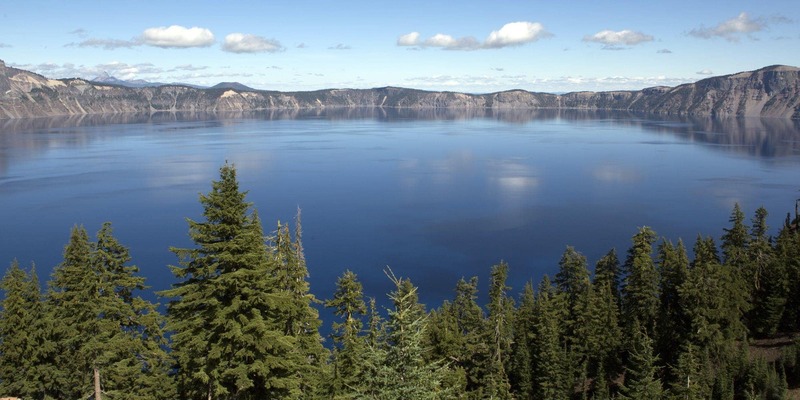 Arguably the most famed attraction in Southern Oregon, Crater Lake is the deepest lake in the United States. Formed as a result of the eruption of Mount Mazama thousands of years ago, the lake is known for its pristine blue color. Artists, scientists, photographers and sightseers are all taken aback by the beauty of Crater Lake National Park. This is the only National Park in Oregon, and I think true Oregonians need to visit at least once. It’s quite a marvel. Fall is an ideal time to head to Crater Lake because the roads will be clear of snow, the temperatures are nearly perfect and the crowds tend to be thinned out. When we visited Klamath Falls, I quickly found that it was a great destination for bird watchers to catch views of the Pacific Flyway. Klamath County is home to more than 300 species of birds, and many more during winter when migrating birds flock here, including the largest gathering of wintering bald eagles in the lower 48 states — a truly breathtaking sight. The Klamath Basin is home to six National Wildlife Refuges. Each February, Running Y Ranch hosts the Winter Wings Festival, in which birding enthusiasts can view up to 780 bald eagles who call the Klamath Basin home for the winter. What better way to take in the winter wonderland that is Southern Oregon than by carving through fresh powder and racing along hundreds of miles of freshly groomed trails? My husband and son are both motorcycle riders, so this a great option for them during the winter months. If you’re looking to add a little excitement to your life, this adventure is for you! 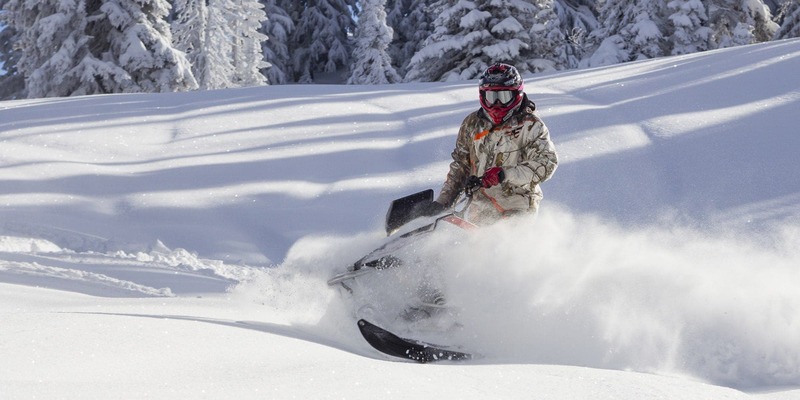 Check out Mountain Adventures for rentals in Southern Oregon; all snowmobile rentals include helmets and a 20-minute instructional course for beginners. Diamond Lake serves as an unofficial hub for snowmobiling during the winter months, with nearly 300 miles of trails stretching from the edge of Crater Lake to the top of Mt. Bailey. The pace of this winter activity is more my style. I strap my backpack on, which is, of course, a carrier for my French bulldog. We enjoy this casual, beautiful way to get outside during the winter months. In Southern Oregon, there are miles and miles of great terrain, and a variety of tours for all ages and abilities. You can learn about surrounding wildlife, trek outside under the bright moonlight, or even snowshoe around the famous Crater Lake. If you can walk, you can snowshoe. An insider tip: make sure you wear insulated, waterproof boots to keep your feet dry! Marie is a 6th-generation Oregonian who traces her roots back to the Oregon Trail. 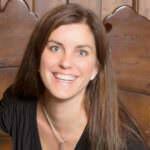 When she’s not obsessing over grammar and the English language in general, she enjoys Central Oregon’s seasons with her husband, son and three dogs by embarking on a variety of outdoor activities.